Earning some free spins in a slot game is something that no one is ever going to moan about. They certainly help produce some lucrative wins in bonus games, especially if helped by the presence of expanding wilds. But we just don’t want our free spins to come to an end and the solution to that is re-triggering free spins. 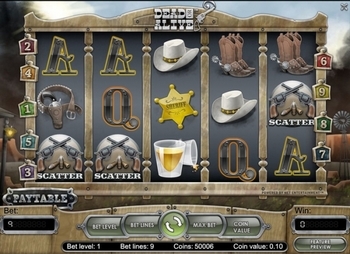 Free spins are a popular choice for the bonus games that are seen in slot games. It means you have the chance to play the game without having to take any money out of your account balance and that’s something no one should ever complain about. Re-triggering free spins is therefore something the slot player should always be looking for and letting out whoops of celebration when they arrive. Mind you, if playing on your ipad on the bus, this can get a bit embarrassing. To get into a bonus game you have to trigger it. For example, in the game, ‘Asian Beauty’ from Microgaming, it’s the Asian Beauty logo which is the scatter and it’s this which is the trigger to the free spins round if at least three of them appear anywhere on the reels. When you get the free spins they will be played at the same level as in the spin that triggered the bonus round. So if you were playing ten paylines with two coins on each of them, that’s what you will be playing with in the free spins. It’s common though that there will be multipliers on any wins you get in the free spins round so even more reason to re-trigger them. That triggers the free spins bonus round and you’ll be looking forward to some good wins. During the free spins round your attention will be a bit divided when looking at what the next free spin of the reels will bring. Of course you’ll be hoping for some big wins to come your way but you’ll be keeping an eye out for those symbols that triggered the free spins round in the first place. As the number of free spins begins to run out you’ll be eager to see those symbols turn up and re-trigger the free spins. If they don’t you’re back to the base game and it’s time to start taking money out of your account balance again. To re-trigger those free spins you need to see those scatter symbols turn up in droves again. Three more appearing anywhere on the reels will result in those free spins being re-triggered and that means lots more chances to get wins without having to dip into your account balance. Sometimes there is a limit set on the number of free spins that you can earn. However, it’s likely to be such a high figure you’d never get that many anyway. The NetEnt game ‘Dead or Alive’ has a slightly different way of re-triggering free spins. You need three scatters to get 12 free spins, so nothing different there. In the actual bonus round though there are some sticky wilds, useful tools to get extra wins. But these are very versatile sticky wilds because each one that is hit gives you five additional free spins. Free spins really do help you get some fantastic wins so re-triggering them is one of the best things that can happen to you. Just like Christmas Day, you never want it to end. It gets you more wins and saves you having to put more of your own cash into the slot. That’s why we all love re-triggering free spins.